Jaundice is a common condition that causes your baby’s skin to turn yellow. It normally develops on their face and in their eyes on day 2-3 of life. All babies are tested for jaundice prior to leaving the newborn nursery. Normally, jaundice peaks on day 4-5 of life and resolves within a few weeks. Jaundice is diagnosed by testing the baby’s blood for the bilirubin level. If the bilirubin level gets too high, it can cause serious complications. Jaundice improves naturally as your baby feeds well and has good bowel movements. 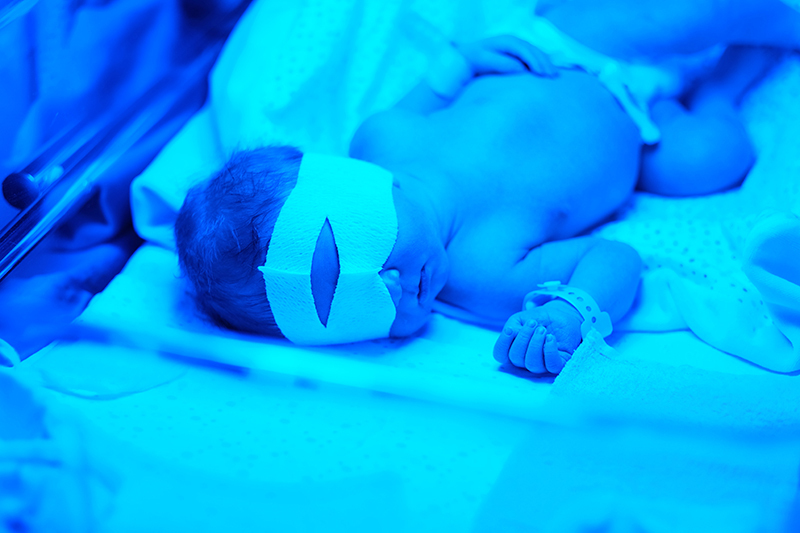 If the bilirubin levels start to rise quickly or keep rising to unsafe levels, your doctor will use special lights to treat the jaundice (phototherapy).